In-Fisherman Freshwater Trophies blends realistic graphics with expertise from the editors of In-Fisherman magazine to give you the most authentic freshwater fishing experience ever created. A fully 3D camera takes you above or below water. 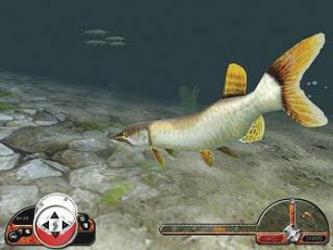 Cruise the lake, cast in your line and watch as a perfectly modeled, animation-blended bass grabs your lure during any of the game's many high-stakes fishing tournaments. And, all of this is made even more real through a unique Pro Tips virtual library of the best angling info from the editors of In- Fisherman magazine. 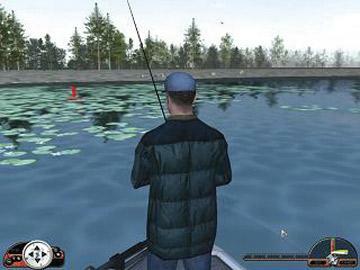 Highly realistic graphics combined with In- Fisherman's 3D sound gives you a very lifelike virtual fishing experience. 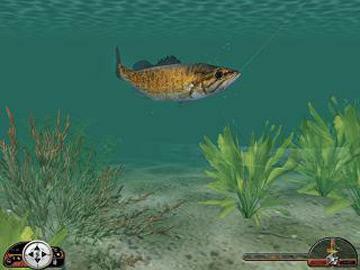 30 different species of North American Game Fish including bass, walleye, northern pike, catfish, trout, and salmon. By Global Star Software.